Bacteria are hanging out on your homes' big soft surfaces. Kill 99.99% of them with the New Lysol Max Cover Disinfectant Mist. Its unique cap with 2X Wider coverage (vs. Regular Disinfectant Spray) completely and evenly covers large areas without over wetting, making it ideal for Soft Surfaces like your mattress, sofa, pet beds etc. With Malodour counteracting technology, it neutralizes odors to leave behind a surprisingly light, fresh scent. 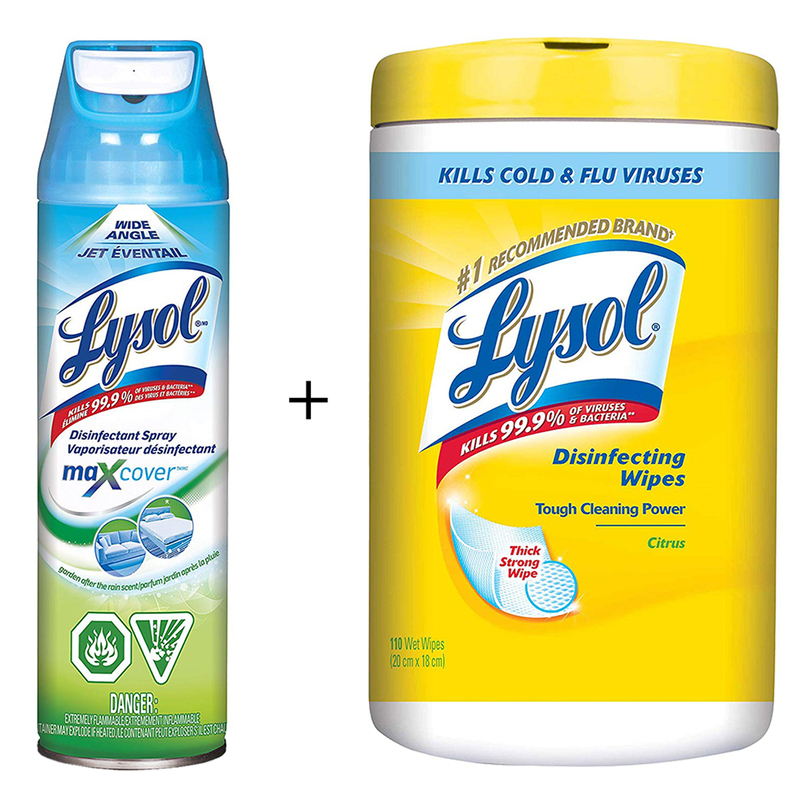 Lysol Disinfecting Wipes are the #1 recommended brand and are the convenient way to clean and disinfect your household surfaces while killing cold and flu viruses. 2X wider coverage vs Regular Disinfactant Spray evenly covers large areas. Prevents allergens, mold mildew from growing for up to a week. Kills 99.99% of germs and even bacteria that cause odors. Versatile enough to be used on most surfaces.